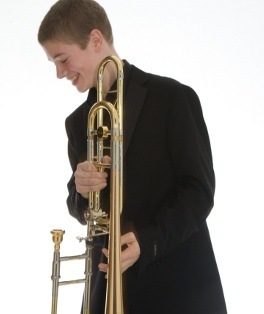 Former BBC Young Musician of the Year, trombone virtuoso Peter Moore will be the featured soloist with The Hepworth Band when they perform the opening concert (12noon) at the 2013 Great Northern Brass Arts Festival this coming Saturday at the Bridgewater Hall, Manchester. Peter will perform Gordon Langfords Rhapsody for Trombone and Bolivar by Eric Cook. by Simon Dobson Coronation Scene from Boris Godunov. Childrens Brass Band of Great Britain (2.15pm) and The Brighouse & Rastrick Band (4.15pm). For tickets please call 0844 907 9000. This years Festival is sponsored by Yamaha and Besson.